The California jury rendered a verdict in a hotly contested Johnson & Johnson defective hip lawsuit, being tried in California state court, Los Angeles. Johnson & Johnson (J&J)’s DePuy subsidiary unit was found liable for defectively designed metal-on-metal hip implant, in the first of 10,750 lawsuits over the device to go to trial. The California jury sent a clear message that Johnson & Johnson and DePuy put profit over safety by awarding Loren Kransky, the plaintiff in the California case of Kransky v. DePuy Orthopedics, $ 8.3 million for damages caused by Mr. Kransky’s implantation and revision of the recalled DePuy ASR XL hip implant. 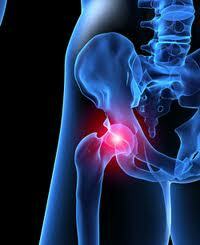 J&J, recalled 93,000 of the DePuy ASR implants in August 2010, when it said 12 percent failed within five years. Last year, 44 percent failed in Australia within seven years. “This is not an imperfect hip, this is a public health disaster,” Plaintiff Kransky’s attorney Michael Kelly said in closing arguments on Feb. 28. Thousands of plaintiff patients have complained in court filings of dislocations, pain, and follow-up surgeries known as revisions. Kransky’s lawyers argued that DePuy failed to test the device adequately before selling it in the U.S. in 2005, hid and denied surgeon complaints of hip failures, and studied a redesign of the ASR before scrapping that effort in 2008. J&J and DePuy aggressively marketed and allowed over 33,000 of these recalled hip implants to be distributed and implanted in patients across the United States, despite their knowledge that high levels of cobalt and chromium metal debris could cause a serious health threat for patients. Kransky’s lawyer Brian Panish had asked for compensatory damages of $5.3 million and punitive damages of as much as $179 million. The jury’s verdict, which came on the sixth day of deliberations, included $338,136 in damages for medical expenses and $8 million for physical pain and emotional suffering. There was no finding of gross negligence to support a punitive damage award. If you or a loved one has suffered as the result of a defective hip replacement in California, contact the Dr Shezad Malik law firm. Our attorneys handle DePuy ASR and Pinnacle cases from all over the United States. Those who have had defective hip replacement systems implanted may be eligible to seek compensation for things like pain, suffering, medical expenses, lost income and disfigurement. Contact Dallas/Fort Worth, Texas Personal Injury Attorney Dr Shezad Malik. We handle defective medical product and device cases all over Texas and the United States. 888-210-9693 ext. 2.